To Groupon or Not to Groupon. I for one think a Pirate’s dinner is kind of hilarious. 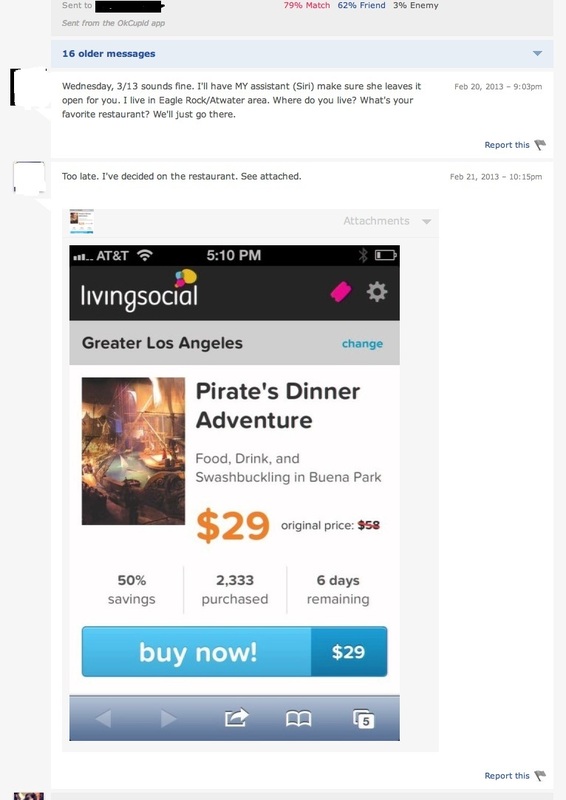 The question remains though – is it okay to bust out a Groupon/LivingSocial deal on a date? What do you think? Previous PostMr. Musician.Next PostThe End of Gentility.